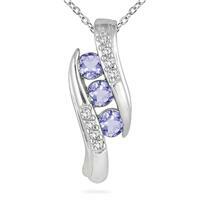 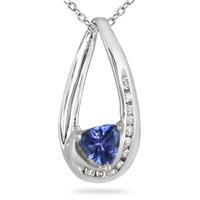 A stunning all natural tanzanite and diamond matching jewelry ensemble. 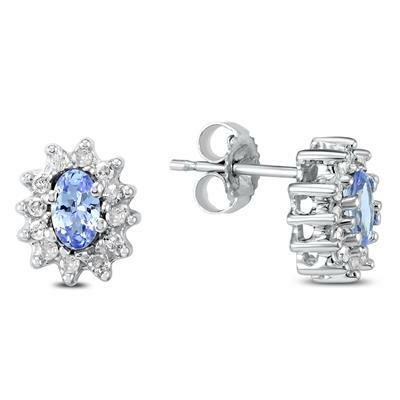 The earrings are set with 5x3mm tanzanites and 12 diamonds on each. 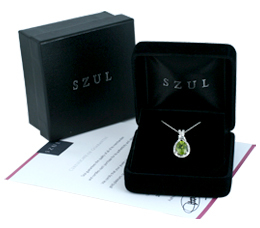 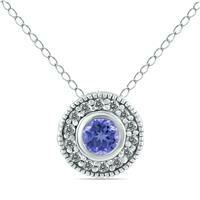 The pendant features a 5x3mm tanzanite and 12 diamonds and hangs from an 18 inch chain also crafted in .925 sterling silver with spring ring clasp. 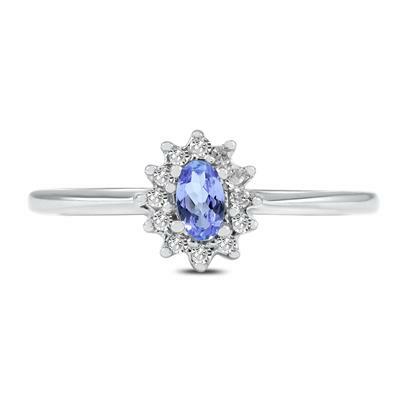 The ring is set with a 5x3mm tanzanite and 12 diamonds and comes in a standard ring size 7. 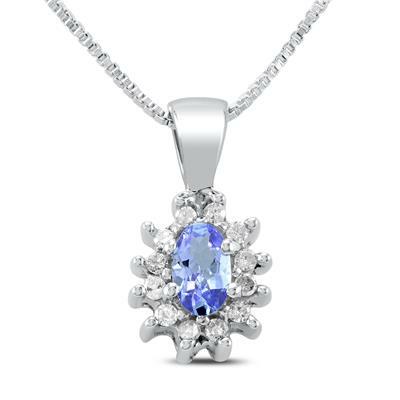 The ring can be easily re-sized if needed. 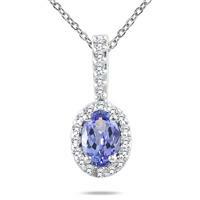 48 diamonds in total weigh 1/2 carat tw. 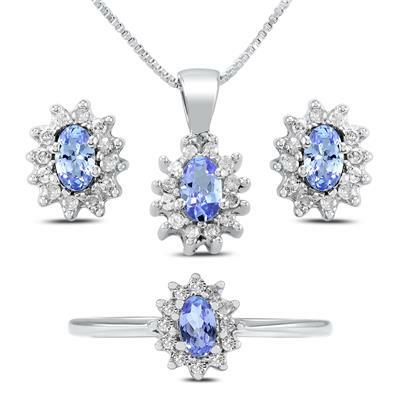 Tanzanites weigh 1 carat in total. 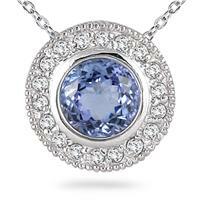 The set has a total carat weight of 1 1/2 carats.